As we are finalizing dates and details for the big event and auction later this year, we are continuing to collect one-of-a-kind items to auction off! The generosity of former LOST cast and creative – as well as the fans – has been amazing, and we so appreciate all of the donations. 100% of the profits from our efforts will benefit the National Brain Tumor Society. 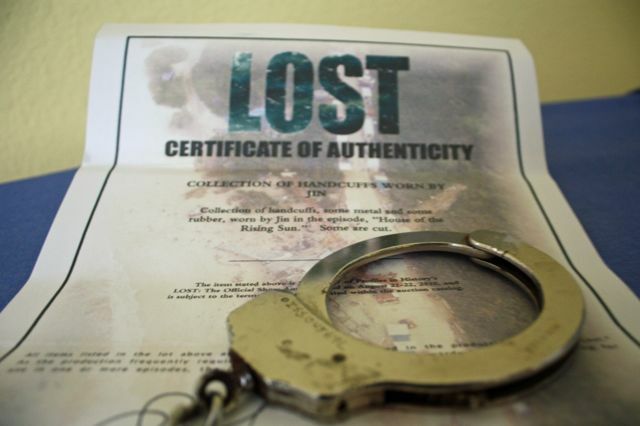 Our friend Rob has graciously contributed an authentic prop to the cause – one that he purchased at the Official LOST Auction in 2010. 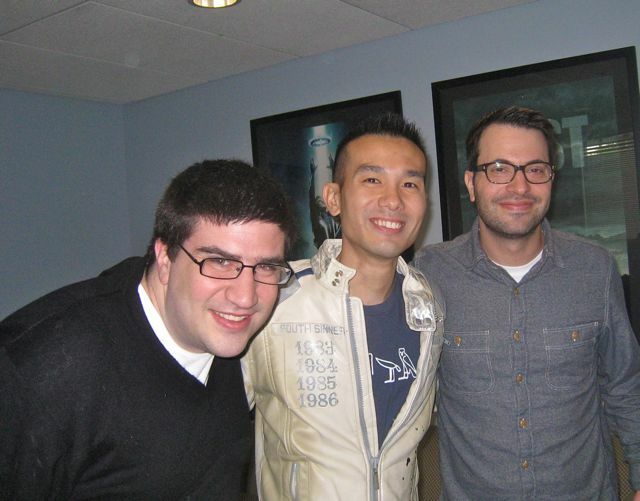 Rob donated one of Jin’s single handcuffs, which Daniel Dae Kim wore for most of Season 1. He describes this handcuff, as well as the entire lot, on his blog. We are thrilled to add this to the collection, and hope to somehow arrange for Daniel Dae Kim to autograph it before the auction. Thank you, Rob! 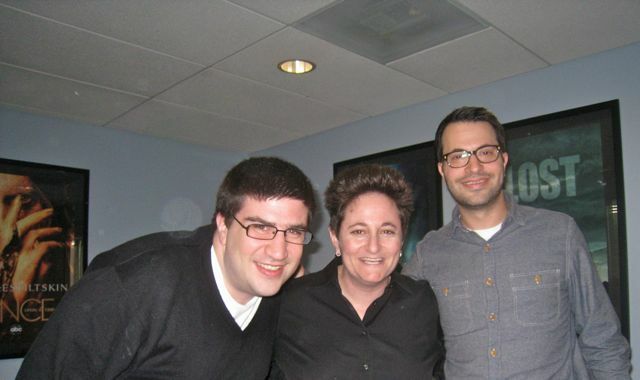 In addition, we stopped by the Once Upon a Time offices to meet with former LOST executive producers/writers Adam Horowitz and Eddy Kitsis, who are now the show runners and executive producers of Once. 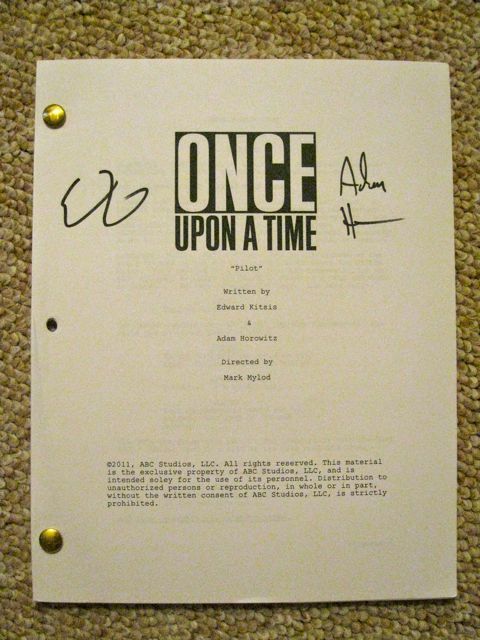 They took the time out of their very busy season finale writing schedules to sign our LOST Encyclopedias and other items for the auction, and threw in an autographed Once Upon a Time pilot script – one of only a few in existence with foul language included! We are very grateful for their contributions. As a reminder, I am giving away LOST and ALCATRAZ swag as an incentive to donate to my friend Jackie’s Brain Tumor Walk next month. This will be open until April 30, and I thank you in advance for your consideration.